This premium Extension allows you to take full control over the promotional email system of your business, all from within the familiar dashboard of your Web Portal! Using the Newsletters Extension, you will be able to easily create, edit, manage, and send promotional emails, automated notifications, and much more, all from inside the plugin dashboard you’re already familiar with. Send out time-limited notifications of sales, automatically “drip-feed” content to new customers on a pre-set schedule, all using ONE Plugin. In addition, Newsletters lets you manage your email contact lists, in regards to both your existing plugin clients, as well as customers who may not be already registered within your portal. Newsletters allows you to create and manage multiple “Brands” from inside the Extension. This means that you can handle the sending of emails for multiple businesses, products, and email domains, all from within one WP-Client installation! Maybe you’re a web design firm who handles email sending for multiple clients. Maybe you’re an entrepreneur who has multiple businesses that you own and operate. Whatever the case may be, if you have the need to send unique emails branded for a particular purpose, Newsletters can make it happen. Send Emails on YOUR Schedule! Flexibility is the name of the game when it comes to running email campaigns. You might build a email and immediately send it when you’re done, or maybe you want to save the email and schedule it for a later time. All of this, and much more, would be possible with the Campaigns functionality of Newsletters. Alternatively, you can create Autoresponders, which allow you to relate various emails to “actions” within your installation (such as when a new client registers), and automatically trigger the email based on that action. Between these three main functions (instant, time-delayed, action-triggered), you will have full control over what emails send, when they send, and why they send. Full Visual Editor, with Templates! A major component of a good email campaign is the layout. Emails should be designed in such a way that it’s immediately apparently to the customer who sent the email, and what the email is about. With Newsletters, you have full management over the look and feel of all of your email Campaigns and Autoresponders with the built-in Visual Editor, ensuring that your vision is translated directly to the template, and in turn to your customers. Additionally, Newsletters includes several pre-made templates, which give you a clean and professional starting point, all with a single click. Send to Clients and Non-Clients Alike! Newsletters definitely gives you powerful control over sending emails to your existing Clients. However, Newsletters is not just for your portal Clients. With the Lists functionality of Newsletters, all you need is a person’s name and an email address, and you have everything you need to be able to roll them into your marketing bubble. Lists can be easily created, imported and exported within a Brand, allowing you to quickly control who receives what email. Customize Settings for Each Email! In most cases, you will be sending emails from the same company name and email address to your clients. However, there will be instances where you will want to modify this, whether it be for branding reasons, or you’re simply testing out a new sending service. For these reasons and others, Newsletters allows you to control “send” settings on both a global and individual level, and everywhere in between. If so desired, you can set your send settings once for your entire installation, and that would be the end of it. Those global settings will be used for all emails that are sent out by Newsletters by default. Alternatively, send settings can be adjusted for each Brand, and even for each individual Campaign and Autoresponder, giving you complete control over how your clients see the emails you send out, and who they’re from. There is no separate recurring fee for Newsletters, so you get all of this functionality for the life of the Extension, as long as your CORE WP-Client subscription is kept current. BOTTOM LINE :: You can add Newsletters to your arsenal of tools for a one-time fee, and you will never have to pay again for this functionality. 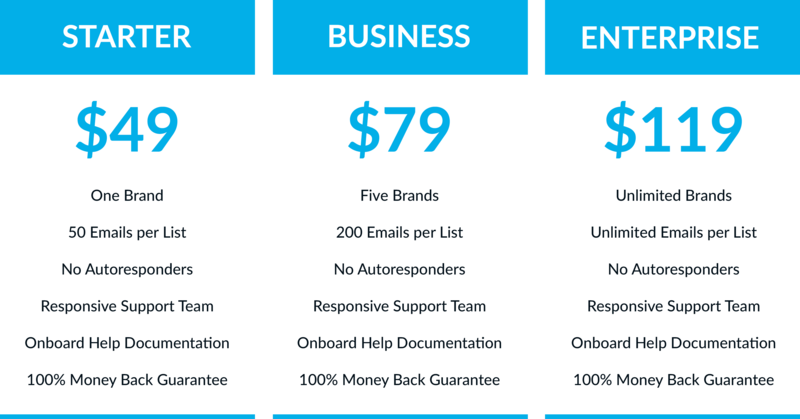 With the function-based pricing model, you only pay for as much as you need! How does buying an À la Carte Extension work? You will remain at your existing Web Portal License Level (Basic, Plus, Developer or White Label). Regardless of your WP-Client license level, the Newsletters Extension will be available on 1 URL. Additional URLs for Newsletters can be purchased in your Control Panel. FREE EXTENSION UPDATES for LIFE: Purchase the Newsletters Extension ONE TIME and it’s yours FOREVER. No additional yearly fees for updates or support for this Extension as long as your yearly fee for the Web Portal core is up to date. This means as we continue to develop and improve the Newsletters Extension, you’ll continue to benefit. INSTANT ACCESS: As soon as you purchase via the link below, you will have instant access to download the Extension in your Control Panel.